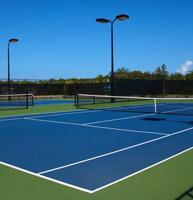 Anguilla tennis anyone? Sun, sea and serves! The Anguilla Tourist Board and the Anguilla Tennis Academy have teamed up with the International Tennis Federation (ITF) to host the first Anguilla International Tennis Federation Junior Championships from November 12 – 19, 2016.